. كما يقدم Adelaide Paringa Motel الكثير من الخدمات لإغناء رحلتك في أديليد. يمكن لضيوف الفندق الاستمتاع بالميزات التالية على أرض الفندق: مرافق مخصصة لذوي الاحتياجات الخاصة, تخزين الأمتعة, واي فاي في المناطق العامة, صف السيارات, خدمة الغرف . تعكس غرف الفندق البالغ عددها 45 المنتشرة في 5 طوابق جواً من الدفء والألفة.خدمات عصرية مثل تلفزيون بشاشة مسطحة, غرف لغير المدخنين, مكيف هواء, تدفئة, مكتب موجودة في بعض الغرف المختارة. صممت خدمات الاستجمام في الفندق والتي تتضمن مسار جولف - ضمن 3 كم لمساعدتك على الاسترخاء والراحة. اكتشف مزيجاً ساحراً من الخدمة الاحترافية والخيارات الواسعة من وسائل الراحة والمتعة في Adelaide Paringa Motel. We enjoyed the Paringa though the first night (a Monday) was very noisy, the next night was much quieter. The noise, of course, is the price of being in the middle of the action. Its beautifully situated, clean and safe, surrounded by cool bars and cafes. The wifi only works in the lobby. The bed was comfortable and the bedroom and bathroom were both clean. A stones throw from Rundle Mall and a huge range of eateries. The staff are very kind and helpful. Rooms are very clean and have crisp, fresh linen so makes for a great sleep. Free WiFi in the lounge on the ground floor only, but, it allows you to meet fellow guests and use tea/coffee, vending machine for snacks etc. Very close to tourist information centre too. Do yourself a favor and check out the amazing street art through-out the city - it is awesome. Would definitely stay here again! The room was an ok size and the windows were frosted over so I couldn’t really see outside. In the shower, having a shower gel could have been a bit more thoughtful. However, I would definitely visit again because the reception staff were very helpful and understanding. The location of the property was the prime reason I chose it in the first place. Being a motel, it certainly had it limitations but everything was clean, the rooms didn’t smell too musky or anything. The location was definitely the highlight. So close to restaurants and bars. The staff were friendly. A staff member by the name of Weronika was particularly good, helping us with check in and reccomending lots of great places for us. The room was a good size, but the bath/shower was old and seemed dirty from age. When we arrived, our toilet didn’t flush but the hotel got maintenence onto it straight away. The room overall was clean and neat, with a good (but loud) aircon. Overall, a great place to stay for this price. The location is great, except the entrance to the hotel is in a small alley. A bit dodgy at night. The toilet looks ok but the facilities need upgrading. The hot water comes and goes. The shower water is not big enough. Location is very central with a lot of restaurants nearby, the room is tidy and clean. The toilet flush in our private bathroom however wasn't working properly. There is no kitchen to cook water whatsoever, but there is a water dispenser in the lounge. Late check-in was not a problem through the sister property apartment just across the road. Nothing to complain about in our 2 nights stay with my son i wish i could stay longer. Very easy access to everything and very affordable. Thank u we are a satisfied and happy guest. We will defenitely cominh back. I , my wife and my little daughter had a great stay at this hotel in Adelaide We checked in on 29 July and checked out on 31st july 2014. Location of this Hotel is superb , so near to Rundle mall and easily catch a Tram to Lovely Glenelg Beach. Definitely we will be considering to stay in this hotel again And no hesitate to recommend to our friends. Keep it up and all the best ! The rooms at the back of the property are too close to Hindley street. This place needs double glazing, as the windows might as well have been wide open for the amount of noise they let in. Sleepless night ! the motel is located along a redlight (with a bars pubs etc...) district where at night is very noisy especially friday and satrday night, where a lots of drunk ppl shouting on the road and may affect the safety of the ppl when in and out at night. 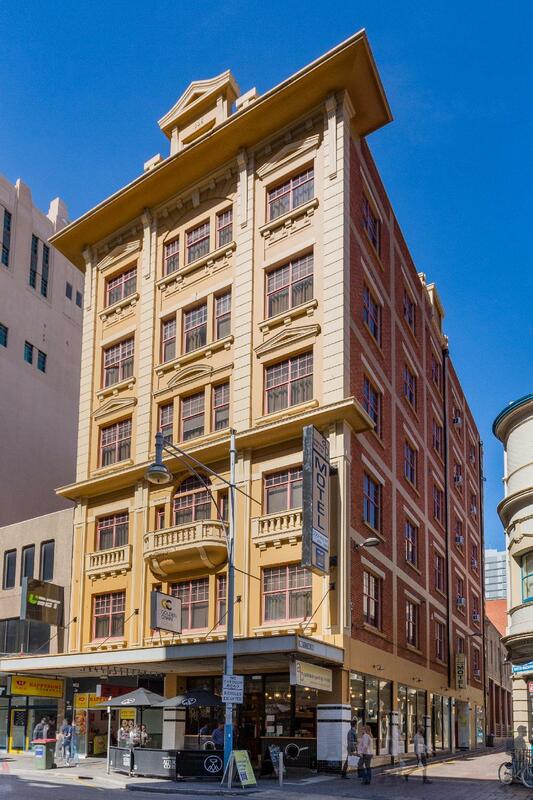 This ‘budget’ hotel is right at the heart of Adelaide in the central shopping area. It was basic, clean and the staff went out of their way to make sure we had everything we needed. The only downside was you had to sit downstairs to access their WFi. Not a problem for me but could be if you needed it for a long time. The Paringa is right in the heart of Adelaide and close to all amenities. However patrons should be aware of the significant street noise fri/sat nights which goes on til past 4 am! Terrible hotel. Checked in after hours and no personal contact or help at all. Before being allowed to enter the building over a telecom system they wanted my credit card number as a security deposit. On entering the room there was a very bad smell and the toilet was running and making a loud flushing sound which did not stop. As the Room smelt very bad we closed the sliding toilet door and then couldn't open it. Contacted someone on the telephone and they said nothing could be done until morning as the manager was not available after hours. Very bad and potentially dangerous hotel if there was an emergency after hours. Absolutely no security or anyone around for personal contact. Decided to leave the hotel and find somewhere else...Very inconvenient and difficult after a long journey. Also worried that they have my credit card number!